Where can I learn leadership? The best kept leadership secret is……….? I bet you think it is a Harvard MBA! It is true that more Fortune 500 CEOs have Harvard MBAs, but that is not it. Here is a hint. It does not cost much and there is no entrance exam. Some of the best leadership training is the Boy Scouts and Girl Scouts. The Boy Scouts of America is one of the largest youth organizations in the United States, with 4.5 million youth members in its age related divisions. The BSA goal is to train youth in responsible citizenship, character development and self reliance through participation is a wide range of outdoor activities, educational programs, and at older age levels, career oriented programs in partnership with community organizations. The Girl Scouts of America have 2.3 million youth members in its age related divisions. Girl Scouts help develop full individual potential, relate to others with increasing understanding, skills and respect, develop values to guide their actions and provide the foundation for sound decision-making and contribute to the improvement of society through their abilities, leadership skills and cooperation with others. Leadership can be a lifetime of small acts according to the Girl Scouts of America. A clarifier listens, summarizes, and makes things clearer. A coach encourages others to develop their skills. A facilitator helps the group set goals, make decisions, choose directions, and evaluate progress. A delegator helps each group member apply her talents and interests to the group’s goals. An initiator gets things moving. A manager helps coordinate the parts of a project and keeps an eye on progress. A mediator helps resolve differences. A networker connects people with people and people with ideas to move the project forward. A problem-solver suggests solutions and ways to get things done. A visionary sees creative solutions, new directions, and possibilities. Scouting is an impressive institution that does not have a long list of requirements to overcome to join. Scouting provides opportunities for ordinary kids through enriching experiences, such as field trips, sports, skills building, community service projects, cultural exchanges and environmental stewardships. Young people develop values to guide their actions and provide the foundation for sound decision making and contribute to the improvement of society through their abilities, leadership skills and cooperation with others. What is leadership? A leader is a person who guides or directs a group. Leadership is so much more than that. Part of our problems in society is there is not enough good leadership. I want leaders that are creative and innovative. We need leaders who have the ability to quickly identify solutions for problems which do not even exist yet. Boy or Girl Scouts have programs that match young boys or girls interests/capabilities and grows as they develop critical thinking skills. These programs encourage them to work on something they are passionate about. They learn leadership collaborating and enlisting others to create solutions. Organizations like Boy and Girl Scouts are very important to shape our future leaders. The skills they learn and practice in a variety of situations will come in handy as they grow up. The program provides a series of surmountable obstacles and steps overcoming them through the advancement method. The steps in the advancement system help boys and girls grow self-reliance and in their ability to help others. Reaching the highest levels of scouting is Eagle Scout for boys and Gold Award for girls. My daughter was a Mariner Scout when she received her Gold Award. Many of her fellow scouts achieved the Gold Award as well. As an adult, she is in a leadership role in a multi-billion dollar company. There are many distinguished successful adults who were either Eagle Scouts or Gold award recipients. Recipients range from astronauts, politicians, medical doctors, news anchors, business executives, professional athletes, Supreme Court Justices, and President of the United States. It is a great way to learn leadership skills. That’s a really great point: these organizations have wonderful track records. Personally, I have no affiliation, but my brother-in-law has learned so much through the Boys Scout. I was impressed by how much he progressed as a person by his involvement. In the broadest sense, there are goals and the scouts work at achieving them. As they get older, they are placed in leadership roles with the newer, younger scouts. It is a tremendous program. When I was a kid, I was as many, timid, shy, and not real popular. I had a hard time of it in junior high, but I had one teacher who said to me one day “Someday, you’re going to be a leader.” I looked at her like ‘Huh?’ and she repeated it. I never forgot that and used it as inspiration, and every time I take a leadership role or task on, I silently thank her for that. Another teacher making a difference! I had an English teacher who made me Editor of the school newspaper. I thought he was crazy! On top of that, I had to write an article every time it was published. Who knew? I learned so much from the experience and about myself. I learned I could do anything. As a teacher, I try to make a difference too, but I may never know the results. Leadership is also an acquired skill. It is learned over time. I never belonged to any groups that teach leadership and ended up in a supervosiry position. It was tough. It is still is hard but just through experience alone I learned a lot. We all find our particular managment style. It is a developed skill. Some people are natural leaders others learn how. The Boy/Girl Scouts give young kids opportunities to learn and practice the leadership skills. Leadership is also a fundamentally relational skill. Understanding how to work and deal with people is such an important part of leadership. I think sometimes we can forget how important is to get to know people and understand them, before trying to give them direction. Aside from scouting, team sports is another experience that teaches some leadership skills. Learning how to work well together is part of leadership. Understanding your team members and working with different personalities all adds to leadership skills. So true! It is really interesting how such basic everyday activities like team sports can have such a profound carry-over into business and leadership. Team sports teaches us how to work together to reach a goal. Business asks us to work together to reach a goal too. If you are a leadr on the field, you probably can be a leader in business. Many professiona, college and Olympic athlethes cross over to business and enjoy a high degree of success. In addition, Boy/Girl Scouts generate leaders as well. 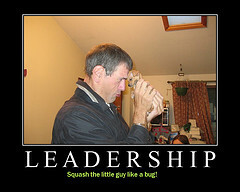 There are other youth organizations that teach leaderships skills. I love your passion for the Boy & Girl Scout organizations. Locally, we have some fabulous boys who recently earned their Eagle Scout award. You can already see the difference this organization has made on their development. For your daughter: do you think she had innate leadership qualities that helped her earn the Gold award? My daughter was very organized and a hard worker. Scouting gave her an opportunity to use her talents in leadership roles. Her troop was an unusual group of kids who are all successful adults. Most of them earned their Gold Awards. Camp fire girls, Horizon Club, church youth groups, neighborhood gatherings and after school clubs are all opportunities for young folks to develop leadership skills. Don’t forget team sports! Putting kids in a variety of these experiences are wonderful ways to learn leadership and teamwork. I was the Committee Chairperson for our local Boy Scout Troop and I can attest to what a great organization BSA is. Not only are leadership skills stressed but personal growth and citizenship. We had such a great time on the many outings with the Scouts and I will always cherish those memories! Scouting and organizations like them are wonderful resources for our future leaders. I wish more kids would participate in these experiences. Great to read this. I was a scout for 8 years. My eldest son was a scout for a year, until we lost faith in the pack and it became all too difficult for our family to jump through their hoops. I like your perspective here KC. Everything depends on the scouting leaders. The daughter’s troop was very successful and all went to college. I was in scouting as a youngster and did not enjoy it. I joined the 4-H Club with my friends. Great point! While my daughter is in the girls scouts, my son has no desire to join. It’s sad, because I had a great time in the boy scouts when I was a kid. I only met one eagle scout so far, what an honor to get to that level. Ironically, most people don’t realize how hard it is to become an eagle scout. My daughter loved scouting because of the leader. My son was not interested wither, but he participated in football and wrestling. I think team sports can give you many of the same experiences as well. All kids are different. Nice article! I agree that team sports build similar skills. My kids have learned a lot from participating in team sports – I tell them it is preparing them for life! Learning teamwork and the skills of team sports really help children for the future. Some even have leadership opportunities. There are a lot of programs that teach leadership! More chilldren should participate in them. It is a lot of things for a lot of people. I participated in the Boy Scouts, but never went past First Class. My daughter went through scouting for a lot of years and was luucky enough to be in a great troop.